Many moons have come and gone since Crossy Road first appeared in the Android catalog. It may have only been three years ago, but for a market that’s as ever-changing as the one for mobile devices, that’s a long time. The game has been a total hit for HIPSTER WHALE, the team behind Crossy Road. 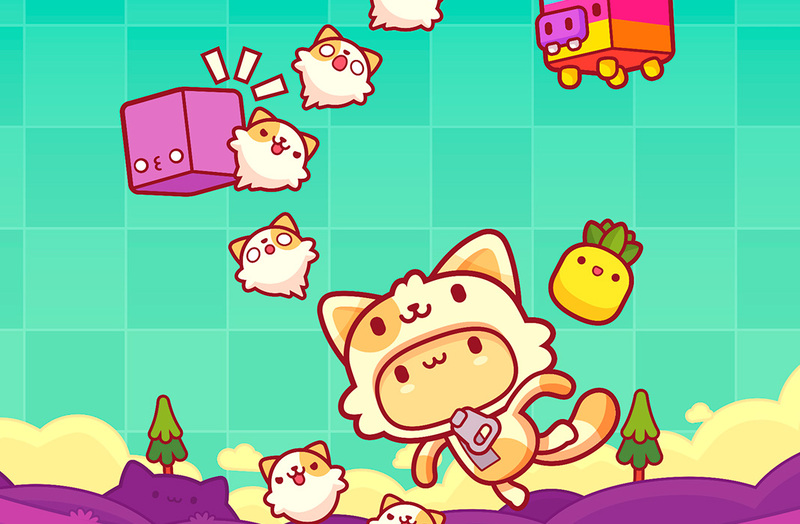 Now, they’re back at it again, trying to repeat their success with Piffle, a new game for iOS and Android that brings us a totally new concept: a brick-breaker arcade game with a really adorable look. The first thing that’ll catch your eye in Piffle is its audio/visual content. It has beautiful visuals that mix concepts from kawaii mangas, along with touches from Adventure Time. The design of the characters and other objects is especially important, since the gameplay isn’t really anything we haven’t already seen a million times before on Android. 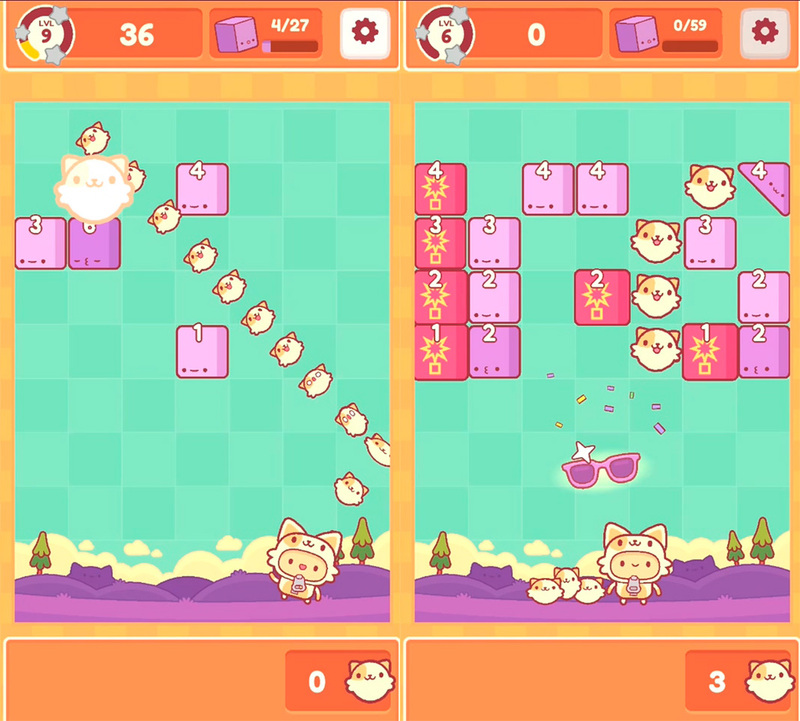 Plus, the part of the Crossy Road team already gave us a game with a similar style called Charming Runes. 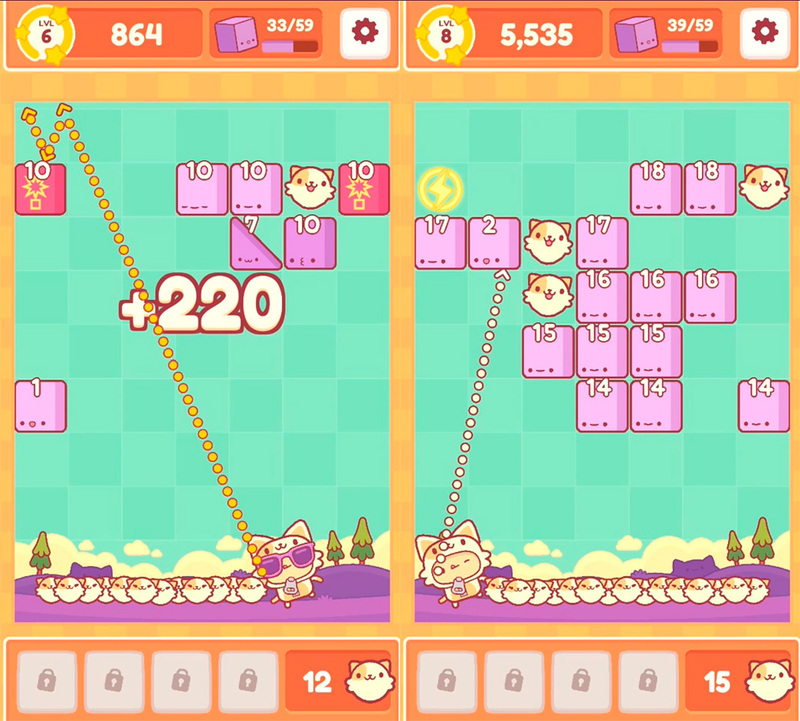 Piffle is easy to play: you just have to destroy all the bricks you see in the upper part of the screen by throwing friendly cats at them. The genre established by Arkanoid and Breakout hasn’t changed its formula much in years, although the most important addition is that you can collect more ‘balls’ (which are cats, in this case), when you tap the corresponding objects. Each block has a number that represents the number of times you have to hit it before it disappears. Along with this, you have the existence of other blocks and power-ups that will help you clear the screen as soon as possible. And you can do all this using your finger on the screen to make extremely simple gestures. Piffle may not break any new ground in terms of gameplay, considering there’s already a million other similar titles on Android. But that’s not all that important in such an enormous market where the key is in the little details. That’s why the tremendous effort on the part of the team behind Piffle on the graphics could mean the difference between success or failure. Playing is a real pleasure especially with the number of collectibles you have within your reach.